Home Featured Writers The Esk: Usmanov and Everton, will it happen? Alisher Usmanov: Is the Russian billionaire set to become more involved with Everton? 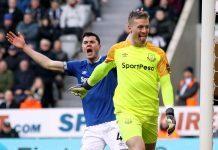 In the last few days, I joined the excellent people at www.futbolgrad.com to discuss Everton’s ownership, Moshiri, and in particular the potential involvement of Usmanov. We discussed various scenarios and funding models, which I’ve summarised below. (iii) by use of methods established and common in Russia and perhaps several clubs across Europe create a system of dual ownership/influence and investment that satisfies the stricter regulatory regime of the Premier League and UEFA. Perhaps it’s easiest to deal with point (ii) first. It’s my belief that Usmanov will not dispose of his Arsenal shares held in Red & White Holdings. I say this for a number of reasons. Firstly, he has stated publicly that it is his intent to hold his shares, for his family to enjoy in future generations. Secondly, and perhaps more importantly, the sequence of events last February (2016) which led to Moshiri selling his R&W holdings to Usmanov do not sit with the view that Usmanov’s intent has been to dispose of his AFC interests and invest in Everton. Had that been his intent, the more logical sequence of events would have been for Moshiri to acquire Usmanov’s shares, freeing Usmanov to invest in Everton and begin his investment programme that would have surely followed. Additionally, it has to be recognised that there are real practical difficulties in Usmanov disposing of his Arsenal holdings given Kroenke’s controlling interest and his total disregard for minority shareholder interests. Kroenke is not a buyer of Usmanov’s holding as clearly it provides him with no greater control at Arsenal (he already has that) and it frees up Usmanov to compete with Arsenal at a time when the club is less settled than it has for more than two decades. Therefore, for me the question is whether or not Moshiri funds Everton’s development alone or with the compliant financial assistance from Usmanov’s (and his own, to be fair) corporate interests – USM, Megafon etc. To date Moshiri has spent £87 million in acquiring his 49.9% shareholding in Everton, and has options agreements on an additional 23% which, based on the initial valuation, could cost him and additional £40 million to exercise. In addition to the initial share purchase, Moshiri has provided £80 million in loans to repair Everton’s balance sheet, wiping out long term secured debt and the shorter term pre-payment of broadcasting revenues due from the Premier League. Additionally, his loan provided working capital to pay for the exceptional costs of removing Martinez and his coaching team and then bringing in Koeman from Southampton. Although not officially confirmed by the club, it is believed he has provided further funding in January 2017 as the club prepares to acquire land on the old Liverpool dock site of Bramley Moore Dock in preparation of a likely 55-60,000 seat stadium designed by the globally renowned stadium architect Dan Meis. The costs of the land acquisition and stadium build are estimated to be in the region of £300-500 million. Although by almost all standards, Moshiri is to be considered a wealthy man (Forbes 2017 value his net worth at 2.4bn US$) it is difficult to see how Moshiri can fund this size of development without looking for third party support. This perhaps is where the Usmanov interests will lie in the future. 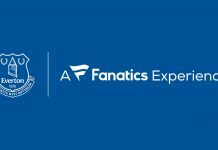 USM have already been announced as naming rights partners for Everton’s training ground Finch Farm, now named USM Finch Farm, and have acquired additional advertising rights around the pitch side at Goodison. The precise value of this deal is still difficult to establish as it is tied into the announcement that included a new shirt sponsorship package providing in total £75 million over 5 years. The shirt sponsor is yet to be disclosed, and is due any time. The package is a considerable uplift on the previous sponsorship arrangements with Chang, the Thai brewer, but still pales into relative insignificance when compared to the Manchester United and Chelsea deals for example. 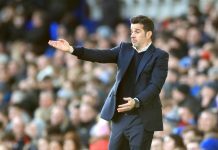 Furthermore, they go little way towards the stadium costs, and importantly the anticipated increases in future wage levels as Everton continue their attempt on breaking into the Champions League qualification spots. Thus with a new stadium to be paid for, and greater investment on the pitch, there is huge scope for greater involvement financially from Usmanov controlled companies. Given the precedent set elsewhere, and the evidence provided both in Russia and in Europe, it is not unreasonable to expect this form of financial assistance through advertising and sponsorship. I have described Everton as the “last great re-development opportunity” in the Premier League. Moshiri has provided the initial funding, ambition and expertise to start that re-development, and his progress in less than 12 months is startling – a repaired balance sheet, huge progress on the new stadium, a completely new management team and coaching/recruitment structure, plus significant investment in the playing squad. Not only is the progress startling, but it has to be recognised that Moshiri has completely refreshed the ambitions of our great club, and increasingly the world of football is waking up to our new potential. Now however, there is a greater need for really substantial investment to build the stadium, improve the team further on the pitch, and provide the investment required to turn around Everton’s commercial performance. The evidence is that USM and other companies in common ownership, with Usmanov’s approval, is providing a significant element of that funding, with more to come. With the anticipated confirmation of the stadium at Bramley Moore due in the first couple of weeks of March, there’s no better time to make those naming rights and other sponsorship announcements as above. It is a hugely interesting and exciting time to be an Evertonian, it’s equally fascinating to see Oligarchs work their particular business models to provide innovative but compliant funding allowing maximum exposure to the riches of the Premier League. Most and Usmanov are two sides of the same coin, they are the same business family. 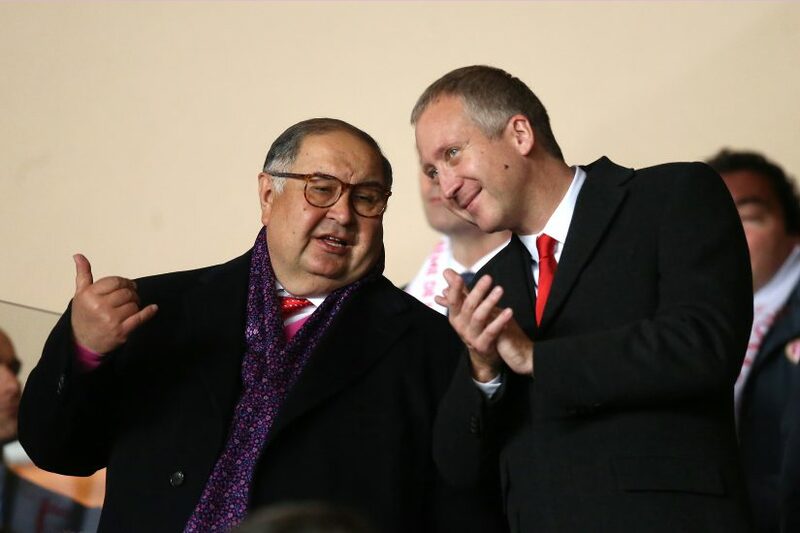 The simple answer to the question raised in the podcast: “Why was it that Mosh sold up at Arsenal, not Usmanov?” would be a matter of time and skills: Mosh is Usmanov’s right hand and #1 professional money man.